I might have a smidgeon of an obsession with daffodils. I absolutely love that they are the harbingers of spring. And they are yellow...which is the emotional opposite of the sludgy gray color of winter. And best of all... they just keep coming back every year. You plant them once and then every spring after that they're like, "No, don't worry. I'm cool. You just sit there pretending that you're on a tropical island because you saw the sun for more than 12 minutes today. I don't need your stinking attention and your water and your fertilizer that you give to all your other plants. I don't even need your weeding. And you know why? Because I. AM. DAFFODIL. That's why." Daffodils are my kind of flowers. 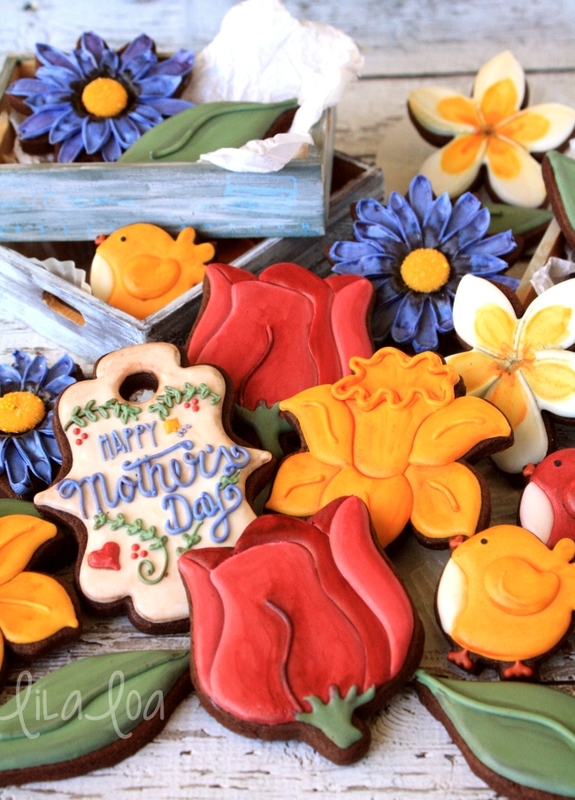 And since they don't need my stinking attention, I have even more time to devote to recreating them in cookie form. This year's journey to daffodil perfection took me to Tracy at Whisked Away cutters. Together we created the dreamiest daffodil cutter I could ever imagine. 1. Outline and fill some crazy squiggly area at the top of the cup with a #1.5 tip. Outline and fill the bottom 2 petals as shown with the same tip. 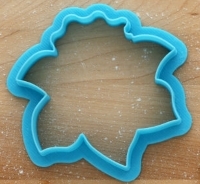 Using a smaller tip will keep these areas thinner and help give a little dimension to our cookie. 2. Use a #3 tip and the same icing to outline and fill the rest of the cup. 3. 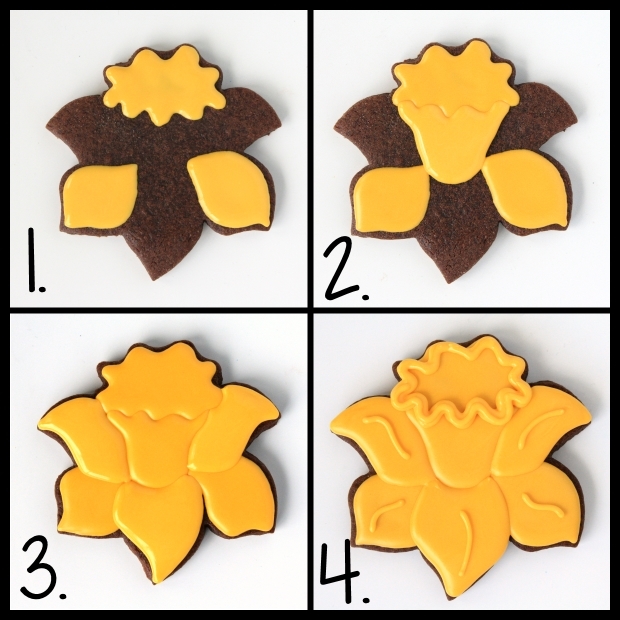 As soon as the icing on the cup is set, outline and fill the remaining petals with the #3 tip. 4. Switch to a #2 tip and add details on the petals. Pipe around the top of the cup. Pipe a second, thinner outline on top of the first, but only on the bottom half. You can leave it just like that if you want to....but you know I just can't leave well enough alone. You can paint it with food coloring if you like. I used orange and brown if you were wondering. You can get the daffodil cutter HERE, the tulip cutter HERE, and the most adorable little bird cutter in the world HERE. 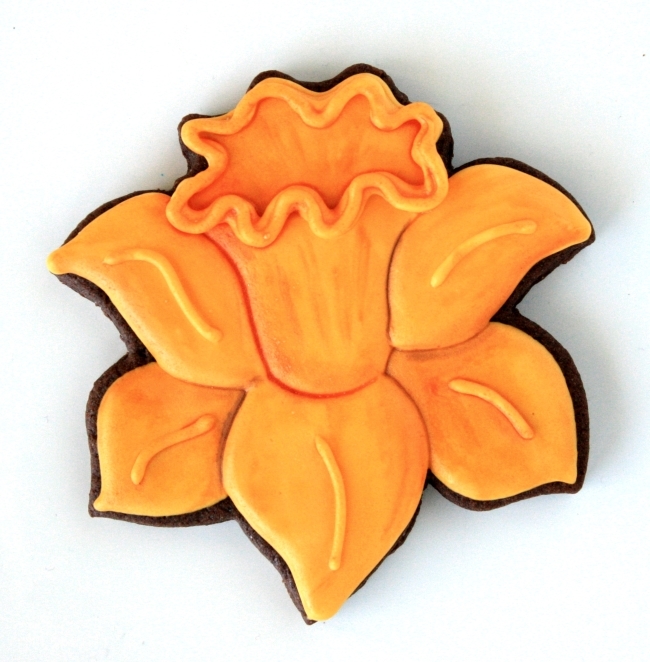 Find out how to I made these 3D DAFFODIL COOKIES HERE. 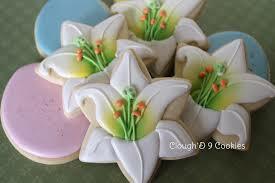 Discover the most amazing lily tutorial by Clough'D 9 Cookies HERE. 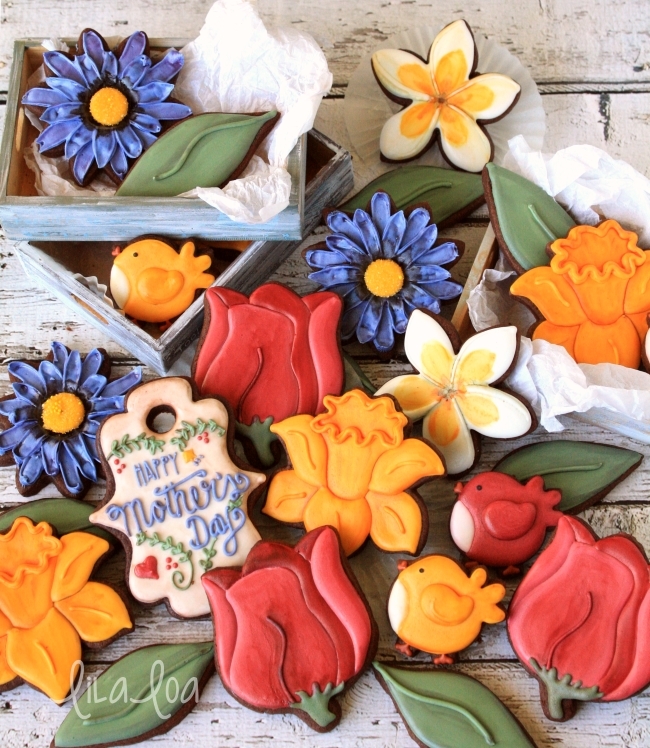 Learn HOW TO MAKE TULIP COOKIES HERE.